Having previously toured with the likes of 21 Pilots, Lorde, Rudimental, and Disclosure, Aussie electronic rockstars SAFIA has already been crowned by many as the hardest working band. With their live performances characterized as theatrical, intense and fully in the zone from start to finish, each of the three members gives the indie-pop act a three-dimensional feel that is hard to go unnoticed. 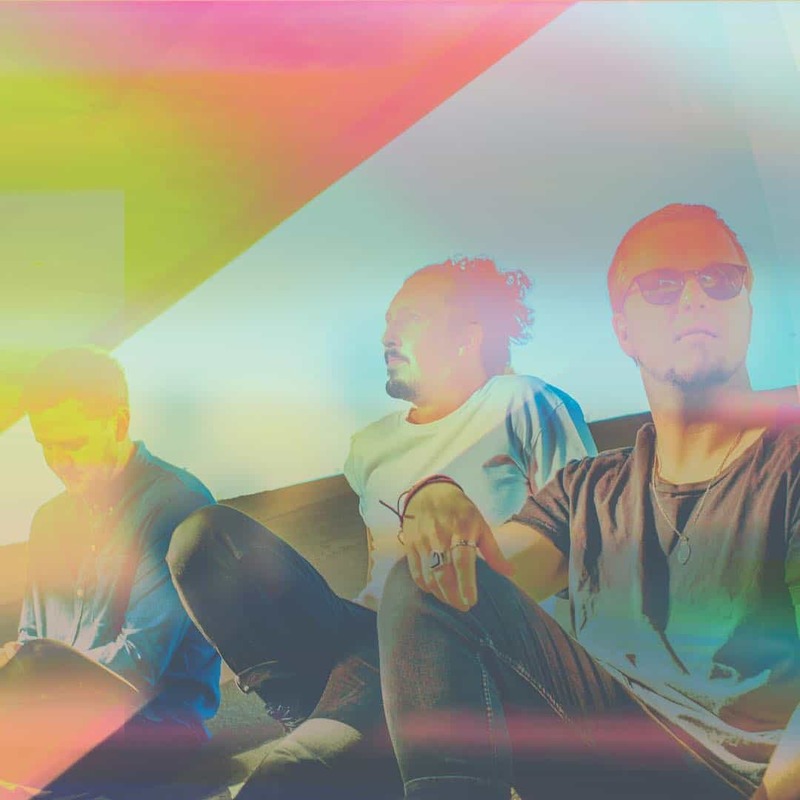 When it comes to the band’s influences, SAFIA claim to have a very broad range of styles and genres. From their single ‘Cellophane Rainbow’ that’s sitting at 1.5 million streams since its release at the end of 2017 to their latest release ‘Freakin’ Out’, the Aussie group consists of Ben Woolner, Michael Bell and Harry Sayers have taken the charts by storm. SAFIA recently sat down with Viralbpm for an interview where they discussed their group dynamics, upcoming tracks and career. V1. Let’s begin with the individuals behind your 3-piece indie-pop band. Tell us more about Ben Woolner, Michael Bell and Harry Sayers characters and how SAFIA alias occurred? SAFIA: We all meet years ago in Primary School when we were around the age of 12 and quickly formed friendships, probably due to our shared love of music. For years we played in various bands, however, it wasn’t until we left school that we started to discover the world of electronic music. We didn’t think too much of the project in the early days, we were just experimenting & writing music for fun. It wasn’t until we decided to put one of the songs up online that things started to take shape. To our surprise, Triple J Unearthed & Triple J radio stations in Australia began to play some of our music & this gave us the confidence to start pursuing the project more seriously. Ever since then things have slowly been growing from release to release. V2. Your first new single of 2018 is titled ‘Freakin’ Out’. How did you come up with this production? Are you satisfied with the outcome? SAFIA: Freakin’ Out was the first track we wrote after our album ‘Internal’. The initial idea came together quite quickly but as we experimented with more songs & ideas it got sidelined for a while. It wasn’t until we revisited the track a year later that we started to properly realize its potential. We re-imagined some of the production to fit with the other demo’s we had been doing at the time and then the song really started to take shape. We’re obviously pretty satisfied with the outcome but to us, a song or any piece of art is a reflection of the time period it was written in. Nothing is ever perfect & there is always an infinite amount of options when it comes to producing a creative work. However, once a work is released into the world it ceases to be yours and take on a new life. For this reason, we don’t tend to dwell on the final outcome, instead, we learn from each release and channel that knowledge & experience into making future releases better. V3. ‘Freakin’ Out’ follows on ‘Cellophane Rainbow’ and your debut album ‘Internal’, which reached #2 in Australia last year! That’s a great achievement. What should we expect for 2018? SAFIA: Thank you, we’ve got a lot of songs in the works at the moment. All the songs explore various facets of our sound & we are currently in the process of refining the ones that we believe properly represent our vision for the next body of work. In the meantime, we are still planning to put out a few more singles in the coming months. V4. You have previously toured with 21 Pilots, Lorde, Rudimental, and Disclosure. How do you feel about supporting such huge acts? Any interesting behind the scenes story we could talk about? SAFIA: We’ve been very lucky throughout our career to be able to support so many huge acts. It’s always a challenge playing a show to a venue full of people who are obviously not there to see you, but we’ve always loved this challenge mainly because the crowd has no expectations. Luckily, all the fans for those artists have been incredibly welcoming & open minded so all the shows were great. Probably one of the most invaluable parts of supporting the likes of Lorde & 21 Pilots is how much we were able to learn from them & that has proven to be extremely important in helping us get our live show to where it is today. V5. Australia has too many established producers we admire like Dirty South, Nervo, Tommy Trash, Hook N sling, just to name a few. Is there any of your natives with whom would you like to collaborate with in 2018 and why? SAFIA: Indeed it has, we’ve actually worked with both Tommy Trash & Hook N Sling in the past as well. Australia has always had a very supportive music scene so over the years we have been lucky enough to work with a whole variety of artists that we admire. However, off the top of my head, I think Kevin Parker of Tame Impala would be a dream collaboration for us. I doubt it would ever happen but he has such a great ear for melody & detail, it would just be a great learning experience to see the man in action. V6. In 2017 we saw you embark on the Listen Out festival tour after selling out 4,000+ capacity arenas on your headline tour. Any new scheduled events we should be aware of? What’s the show you’re dreaming of? SAFIA: We’ll be spending the vast majority of this year in the studio, however, we are planning to get back on the road towards the latter months. There’s a lot of shows we could list as dream shows such as Glastonbury & Coachella but I think having the ability to play to a room of people in all corners of the world would be amazing. V7. As you are an Electronic/Indie band, name a different electronic music genre that you’d have a go at if you had to choose? SAFIA: We’ve always liked to approach music with a very open mind & we enjoy a vast array of musical genre’s spanning from classical to hip-hop. If the music is good and comes from a place of passion & honesty we tend to enjoy it. The reason our music leans more towards the electronic side comes down to our creative process, but hidden underneath the electronic production is some more traditional songwriting that takes influence from a diverse range of musical styles. I think if we had to choose a different genre to have a go at we’d probably go with something like rock or psychedelic mainly because we often miss being able to free jam & play completely live without the restrictions that come along with being an electronic band.